With Grammy-winning producer, Lloyd Maines (Dixie Chicks, James McMurtry), EFO presents their ninth CD. With 15 songs, it's unlike any past EFO record - electrified - energized, yet still genre-hopping under the wide umbrella of folk rock, and still lyrically driven, spinning tales of love, war and hand gestures used in traffic. "THIS IS ME". 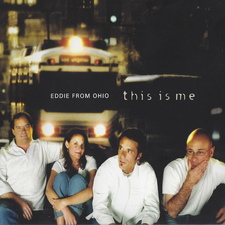 This is Eddie from Ohio. This is their best work to date.